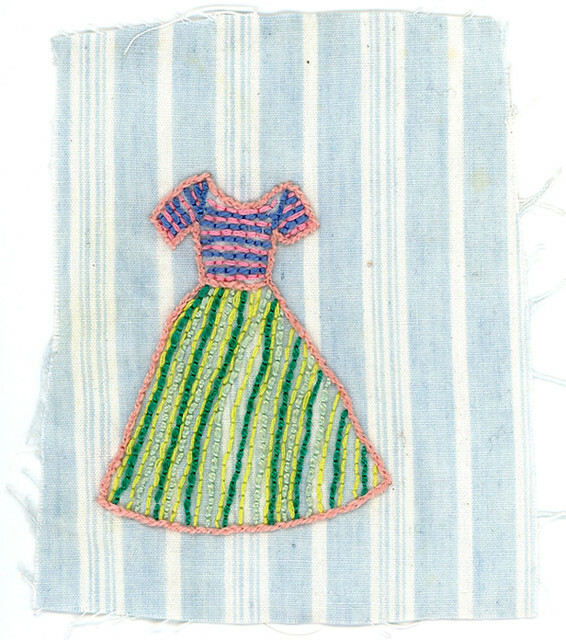 I embroidered this little dress ages ago when I was still working at MASS MoCA. 2011? I've been wanting to do something with it ever since, but I have no clue what. Perhaps incorporate it into a quilt? Add some badass queer femme battle cry text, safety pin it to my jean jacket and call it a day? One idea that I've always wanted to try is making a fabric book. What do you think? I've got a couple days left with my parents in Maryland before we head down south. I'm going to check out SCAD, visit my old friend Rachel in Ashville, then I'm getting dropped off to start my spring weaving concentration at Penland. The art supply hoarder in me can't help one last trip to the yarn store tomorrow. The closer all of it comes the more nervous/excited I am. I find myself waking up at 2, 3, 4 in the morning wondering if I've packed enough sweaters or if I should have packed this or that reference book. If only there were a way to magically teleport all the comforts of my home art studio space to the Blue Ridge Mountains!